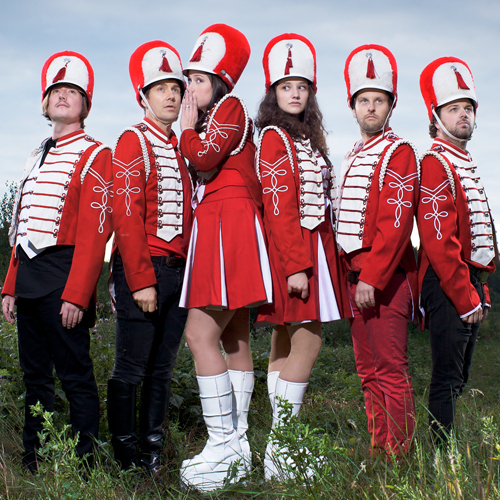 The Wet Secrets, a dance rock six-piece from Edmonton, AB, dress up their scrappy, scathing outlook in impeccably tailored pop attire. 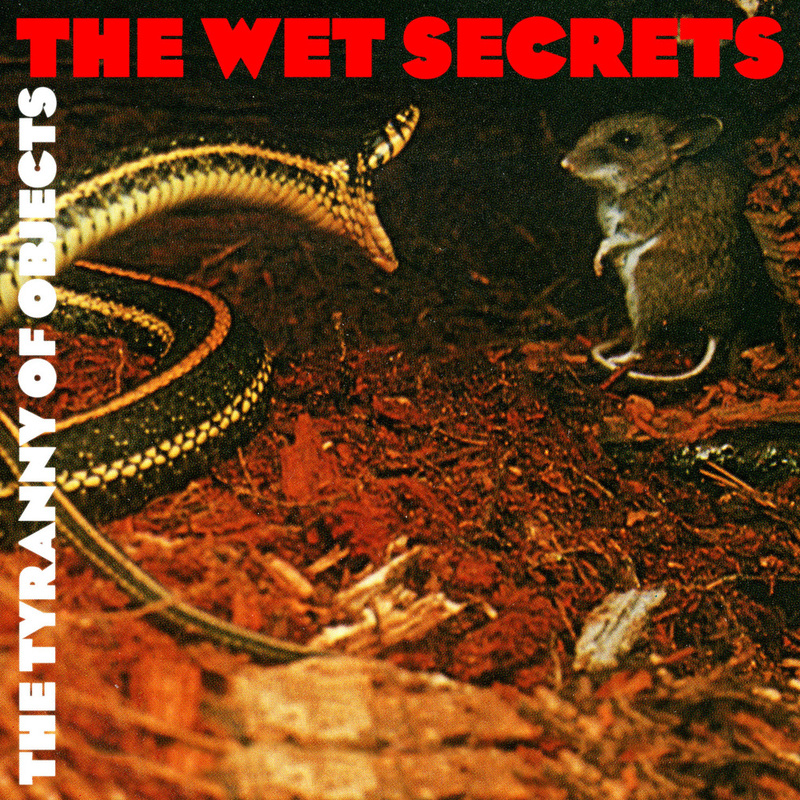 Leave eyerolls and apathy to the others: The Wet Secrets’ buoyant brand of irony turns dysfunction into inspiration. 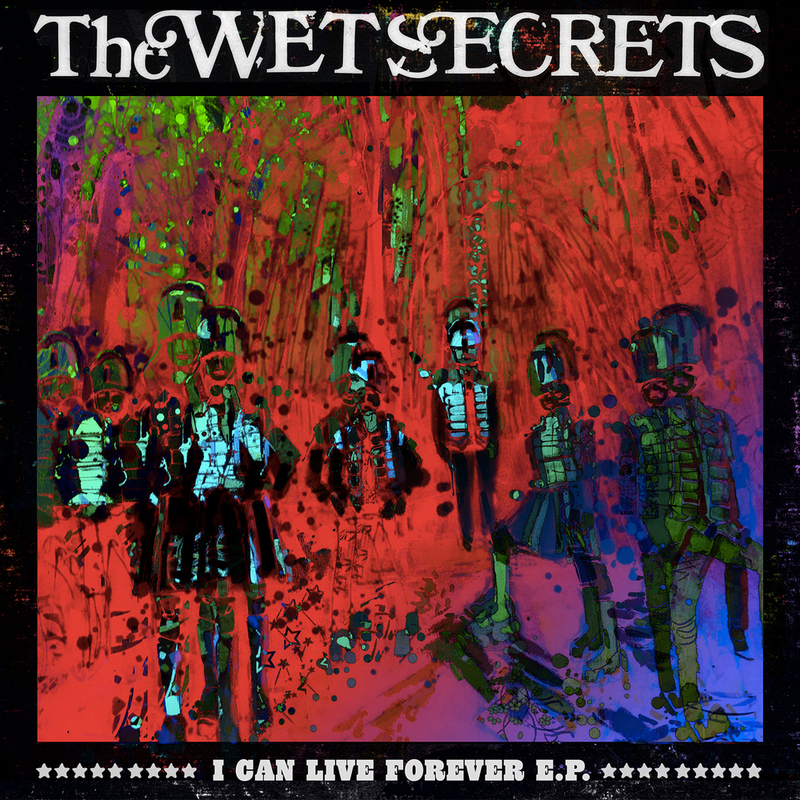 Equal parts punk rock and halftime show, The Wet Secrets’ vibe is a fusion of the bass-driven grit of The Stranglers with the lurid surrealism of The B52s. Principal vocalist/songwriter Lyle Bell (also of Shout Out Out Out Out) lays swampy basslines through songs that balance misanthropy with empathy, caustic barbs with uplifting mantras. Cravat-wrapped drummer Trevor Anderson (also an award-winning filmmaker whose work has shown at Sundance, SXSW, Berlin and more) embodies the band’s high-art non-conformism. 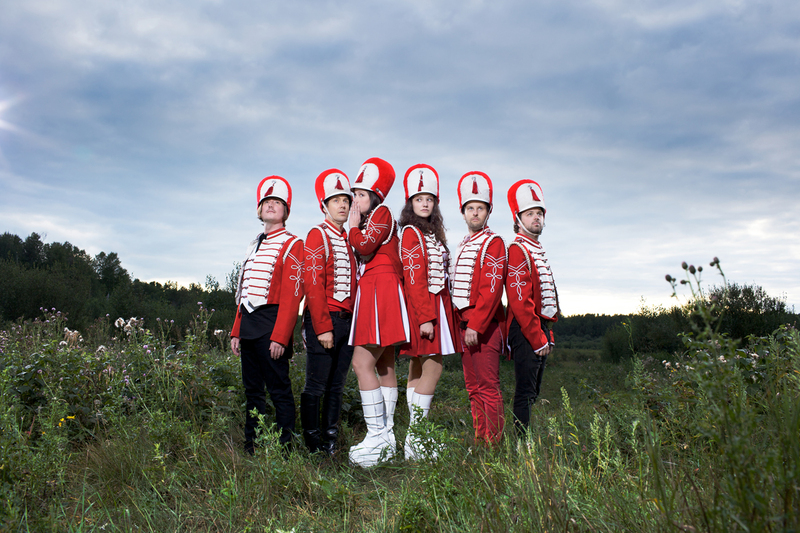 Kim Rackel and Emma Frazier contribute towering, dancing hornstacks on trumpet and trombone, with wildmen Paul Arnusch and Christan Maslyk rounding out the furry-hatted fray on keys, timbales, congas, sax. All six Secrets sing along, creating vocal harmonies galore. I Can Live Forever covers a lot of ground in only four songs. Over the squirmy intergalactic synths of “If I Was A Camera,” the Secrets shout “Take off all your clothes,” a message that’s more about watching than doing, with a sweet geeky voyeurism. “Final Curtain for a Drama Queen” is a madcap staccato sendoff, a paranoid’s sweaty, horn-heavy fever dream. Final track “Quelle Surprise” is as close to a ballad as The Wet Secrets get, with a slinky 70s vibe, faraway vocals and tinkling off-kilter scales.